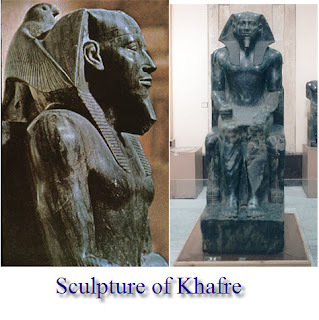 diorite with white veins, his head embraced by the hawk god Horus. It has a concentrated force and presence unequalled over 5,000 years. 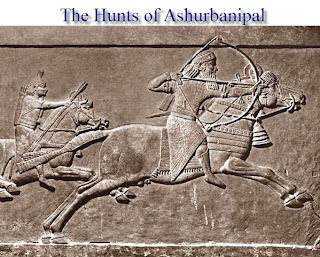 Narrative art achieved a fresh level of naturalism in the decorations of Assyrian royal palaces, none more so than those depicting the hunts by the ruler Ashurbanipal. They portray the triumph of the king over beasts such as the lion. But, paradoxically, the dying animals are represented with such delicate observation that it is hard not to see them as poignant victims. These two bronze figures, discovered on the seabed in 1972 by an Italian scuba diver, are among the noblest works to survive from ancient Greece. 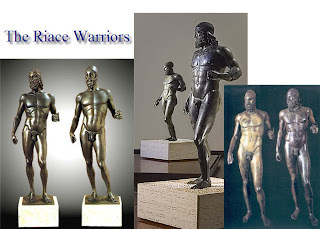 Even more so than the Parthenon Marbles, they embody the Greek conception of humanity - anatomically accurate, but more vigorous and poised than flesh-and-blood mankind. They seem both calm and charged with force. As images of an idealised human race, they are unsurpassed.